Anne had three children and five grandchildren, and her world truly revolved around them. Anne had gone back to school late in life to be a hairdresser, and she opened a shop in her basement. It was successful for many years, but her children started noticing worrisome signs. She would hand a customer her wallet and ask them to retrieve their change. She was having trouble keeping track of time when a customer’s hair was being dyed, or sometimes forgot to finish the haircut altogether. Anne was only 60 years old, but her children knew something wasn’t right and approached their father. At first he denied it, but eventually they discovered through testing that she had early onset Alzheimer’s disease, and it progressed rapidly. The family struggled with the personality changes that can affect Alzheimer’s patients, but found a way to keep a positive attitude. They would often say she meant the opposite of anything that was out-of-character. “Even though we were the people who she loved the most, her anger was towards us,”remembers Cheryl. They also used humour to cope. The sisters agree that it was sometimes difficult to make decisions as a family about their mom’s care, and it was a journey of learning to advocate for their mother. 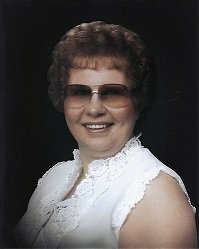 Cheryl painted a wall mural at the Bethany on the 8th floor, a large 4’ x 6’ picture of mountains, because Anne loved them so much. They tried to make her room at the Bethany as close to home as they could, including changing out the decorations for each season. They even made a body pillow with an iron-on of their dad’s face and weighted arms, which gave their mom comfort and kept her from leaving her bed and falling at night. Cheryl’s involvement continues to this day with the Alzheimer Society of Calgary. “Being involved helps me honour my mom,” she says. “Because I work for Investor’s Group (the Alzheimer Walk and Run title sponsor), I can walk or volunteer at a table or help out in other ways. We received help from Alzheimer’s Society and they were there for us. I wasn’t able to give back when Mom was alive because I was just surviving, but now I’m at a point when I can.” Cheryl and Lori are grateful for what they have learned through their journey. “We tell them that there is help out there,” says Lori. This is perhaps the most important lesson for them – how to get through a difficult time as a family, a lesson they say came directly from their mother. “We had a mother who loved us with all her heart, and we loved her with all our hearts,” says Cheryl. “And it’s because we were such a strong family that we could deal with her illness. Sure, there were disagreements about her care and the decisions we had to make, but we were always a family, in it together at the end of the day. Anne’s greatest joy in life was in watching her children and grandchildren succeed. 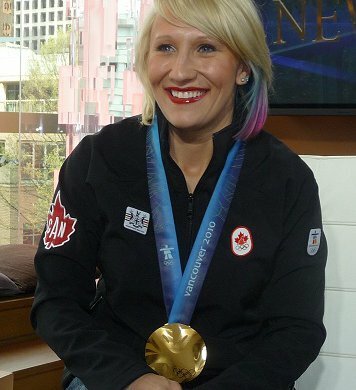 Her granddaughter Kaillie Humphries, Cheryl’s daughter, took home the Olympic gold medal in women’s bobsleigh at the 2010 Olympic Games in Vancouver and again at the 2014 Olympic Games in Sochi, Russia. 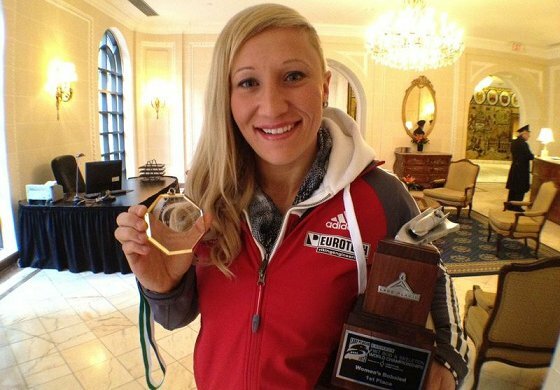 Kaillie wore her grandmother’s wedding ring to symbolize the love and memories she has for Anne, and though she had passed away, her family members knew she was there in spirit. Thank you to Cheryl and Lori (and your family members, including Kaillie!) for sharing your story.